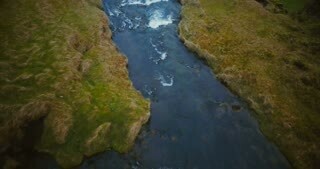 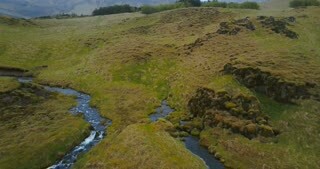 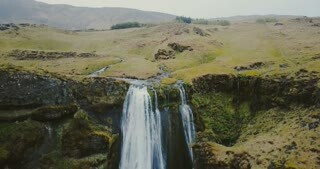 Aerial view of the river in the valley became a powerful waterfall Gljufrabui in Iceland. 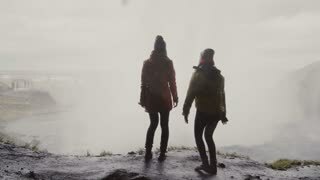 Tourist looking to sight. 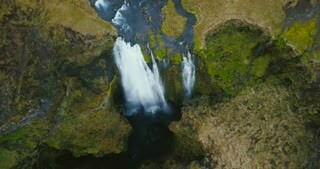 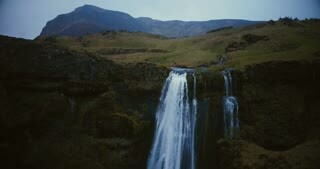 Aerial view of the beautiful waterfall Gljufrabui in Iceland. 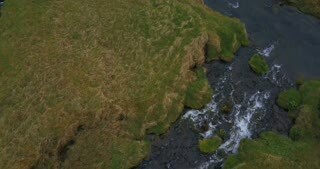 Copter flying near the famous sight, powerful stream. 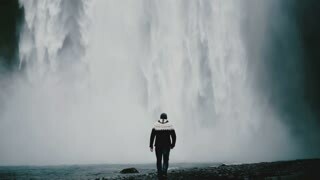 Young traveling man walking near the powerful Gljufrabui waterfall in Iceland. 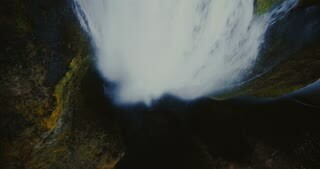 Male jumping of joy and happy. 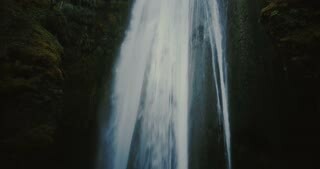 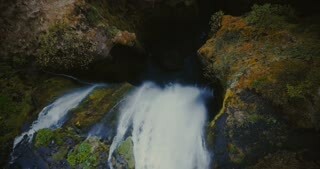 Top aerial view of the falling down water with splashes and foam. 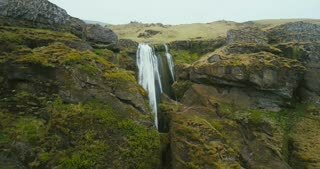 Scenic Gljufrabui waterfall in Iceland. 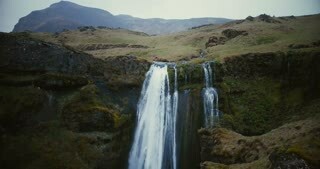 Beautiful view of the powerful waterfall Gljufrabui in Iceland between two mountains. 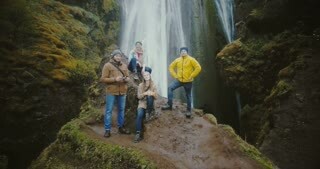 Tourists exploring the sight. 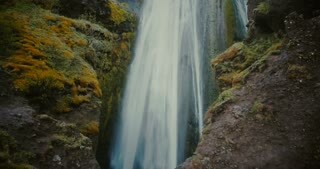 Beautiful view of powerful waterfall Gljufrabui in Iceland. 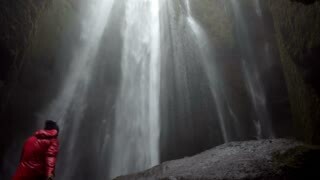 Water falling down from the cliff and splashing, rainy day. 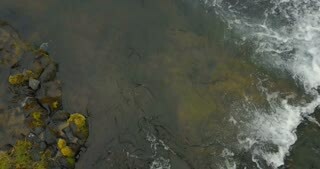 Young happy couple taking selfie on gopro together. 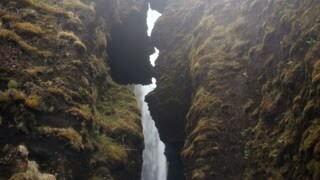 Man and woman enjoying the view of Gljufrabui waterfall in Iceland. 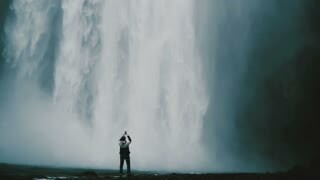 Young traveling man walking near the powerful Gljufrabui waterfall in Iceland and raising hands up, feeling joy. 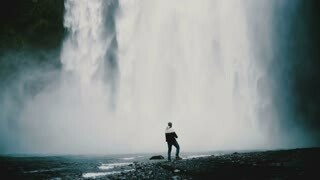 Young handsome man walking near the powerful Gljufrabui waterfall in Iceland alone, enjoying landscape. 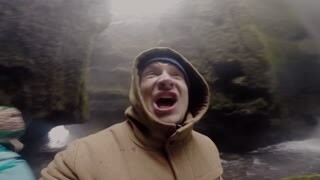 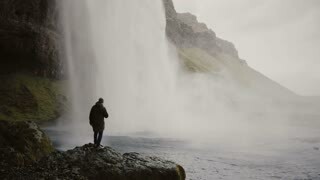 Young handsome man taking photos on smartphone of famous sight in Iceland. 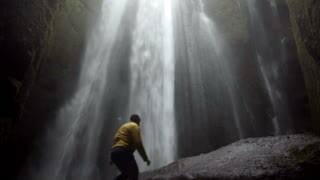 Male walking near the Gljufrabui waterfall.